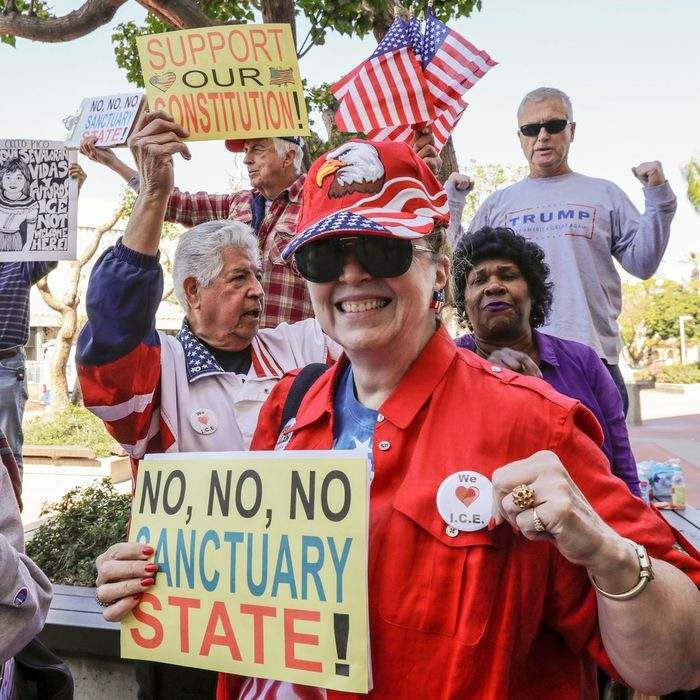 If you follow ancient political typology, there was nothing unusual about the Orange County Board of Supervisors voting unanimously (with one absence) this week to join the Trump administration’s lawsuit against the State of California for its immigration “sanctuary” policies. They are, after all, unanimously Republican, and represent a community that is a legendary redoubt for political and cultural conservatism. Ronald Reagan once said of Orange County (a 3-million person suburb south and east of Los Angeles) that it was where “all the good Republicans go to die.” It’s where Richard Nixon was born, and where his presidential library stands today. In the 1960s it was a hotbed of John Birch Society activity (backed by Orange County’s own Walter Knott of Knott’s Berry Farm fame). In the 1970s, Orange County businessman Howard Jarvis was the chief proponent of Proposition 13, the property-tax limitation scheme that still makes California’s fiscal management insanely difficult. In the 1990s the county was the birthplace of the immigrant-bashing Proposition 187, aimed at cutting off access to publicly funded programs for undocumented immigrants. But the old stereotypes are fading. Slow but steady demographic change is transforming the “O.C.” It is now a majority-minority county; more than a third of its residents are Latino, and another fifth are Asian-American. Thanks to the wealth and older age of the white population, however, political change has been slower to emerge. But it’s happening: In 2016 Hillary Clinton became the first Democratic presidential candidate to carry Orange County since 1936, beating Donald Trump by five points. A blue trend could intensify significantly this November, with four Republican-held congressional districts wholly or substantially in Orange County being targeted by Democrats. Two of them are represented by congressmen (Darrell Issa and Ed Royce) who are retiring. The county also moved this week to improve communication with federal immigration agents by publishing the release dates of inmates online. The sheriff’s department used to screen inmates in the county’s jails to help Immigration and Customs Enforcement agents identify those subject to deportation but had to stop when the state law passed. Perhaps it’s just a matter of old political habits dying hard. But this November Orange County appears likely to hold its own microcosm of the nation’s politically polarized midterm election.